Click here to download registration forms for Greek School! 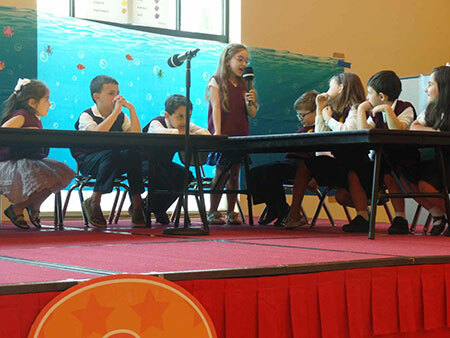 The goal of this language program is to enhance the children’s bond to their ancestry and culture through the Greek language. 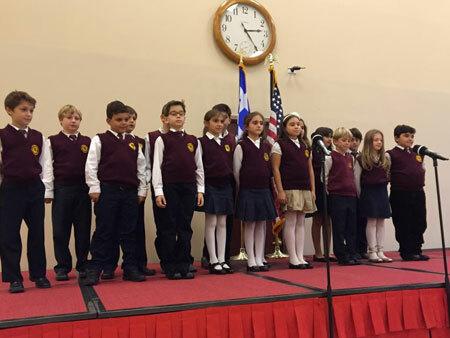 The children participate in the annual Greek Independence Day parade and perform in various cultural events during the school year. Parents are encourage to participate in the Parent Teacher Association which provides the support necessary for the successful operation of the Greek School program. Grades 2 through 7 will receive 30 minutes of dance instruction twice a month. Each grade will learn two dances during the course of the school year. They will also be taught the cultural aspects of the dance including its geographic origins. Children will perform various dances at the GLI PTA sponsored Glendi as well as the End of Year/Graduation Programs. ΤοΕλληνικό ΑπογευματινόΣχολείοείναι ο χώρος ,όπου τα παιδιάέρχονται να μάθουντηνΕλληνικήΓλώσσα προφορική και γραπτήτηνΕλληνοορθοδοξηχριστιανικήθρησκεία και Ελληνικό πολιτισμό μας. Μαθαίνουνγια τουςΑρχαίους προγόνουςμας ,τα επιτεύγματα ,τα κατορθώματατους και ποσότυχεράείναι που προέρχονται από μια τέτοια γενιά πουέδωσετόσα πολλάστην ανθρωπότητα . ΤοΣχολικόΠρογραμμα περιλαμβάνειτηδιδασκαλία τηςΕλληνικήςΓλώσσας ,ΑρχαίαΙστορία (Μυθολογία),Ιστορία τηςΕλλάδας,Θρησκευτικά και Ελληνικούςχορούς. Σκοπός μας είναι να μη χαθεί η Ελληνική μας Γλώσσα και να συνεχίσει να υπάρχειη επαφήμετηΜητέρα Ελλάδα. 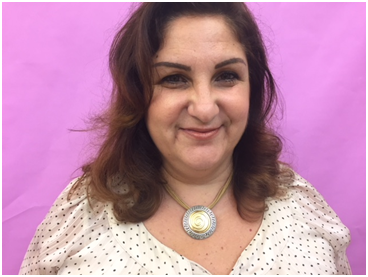 Mrs. Eleni Stavropoulou Capous is currently the Principal of the Archangel Michael Greek Language Institute. She also teaches the 8th Grade class preparing them to take the Comprehensive Examination in Modern Greek. Mrs. Capous was born on the island of Imvros, an island in the North Aegean. She graduated from the Ioakim In High School of Fanari, Constantinople. With a scholarship from the Greek Government, she continued her education at the Arsakion Teachers College from which she graduated with Honors. She then immigrated to the United States as a transfer student. Her first teaching assignment was to organize Kindergarten and the Greek after school program at Holy Trinity in Charlotte, North Carolina. She then moved to New York and taught at St. Demetrios Day School (Jamaica) for many years. She began teaching at the William Spyropoulos School (St. Nicholas, Flushing) in 1979 and soon after started attending night classes at St. John’s University. In 1989, she graduated from St. John’s with a Master of Science degree in Bilingual Education. 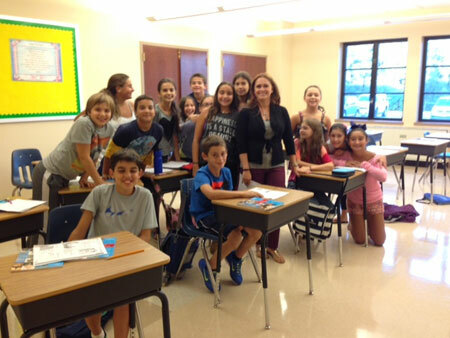 Mrs. Capous has been with the community of Archangel Michael since 2000. She is married to John Capous and they have three children and eight grandchildren. 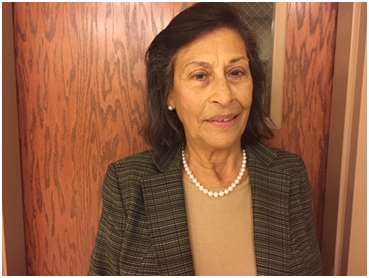 Mrs. Linda MaglarasAlimaras has been a Greek School teacher at the Archangel Michael Greek Language Institute for over 15 years. She attended St. John’s University as an undergraduate and graduate student where she earned a Bachelor and Masters degree in Early Childhood Education. She holds permanent New York State certification in Nursery–6th Grade Greek Bilingual, English to Speakers of Other Languages. Mrs. Alimaras was a former ESL teacher at Manhasset High School. She now works as the Director of the Archangel Michael Preschool. In addition, she teaches ESL at BOCES as well as the Continuing Education Program of Lifelong Learning at Nassau Community College. Mrs. Alimaras has been a member of the Archangel Michael Church since 1991. She is married to Peter Alimaras and they have two children. Mrs. Foteini Stergiou grew up in Athens where she finished high school. She studied at the Kapodistrian University of Athens and holds Bachelor in Physical Education and Sports Science. From the early years of her studies she began to work with younger aged children. She has worked as a swimming teacher in the Panionios team and in a summer school camp. She has also been involved with music-kinetics education in children’s group. Mrs. Stergiouemigrated to New York four years ago. She is married to Mr. VasiliosKalambogias and they have two children. Ms. Vasia Bouloubasis was born in Lamia, Central Greece. She graduated from the 2nd High School in Lamia and continued her education in a private school in Athens where she graduated from the Department of Business and Economic Administration. Her love and her passion for children is the reason she is dedicated to teaching the Greek language and history. Her career as a Greek teacher started in 2006 in a private Learning Center in Greece. 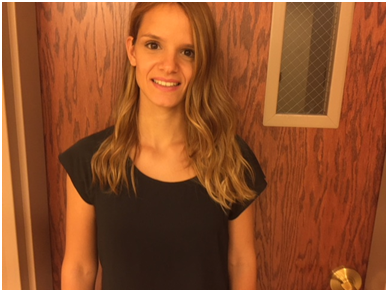 After Ms. Bouloubasis and her family moved to New York in 2013, she began teaching at the Archangel Michael Greek Language Institute where she continues to teach today.She also teaches at other Greek Schools in the area. Ms. Bouloubasis believes that the teachers who love teaching teach children to love learning and it’s a blessing seeing them learning from you! Mrs. Chrysoula Triantafyllou-Kayanta was born in Athens and graduated from the Thoukidides High School there. She received a Bachelor of Business Administration-Marketing and Public Relations from St. George College. She holds a Certificate of Greek Language in D Level Diploma. Mrs. Kayantas has also participated in the Educational Seminar Program at the Pedagogical University of Cyprus. Here in the United States, Mrs. Kayantas earned her GED and TASC from Nassau Community College. She has tutored many in the Greek Language and has taught at various Greek Schools on Long Island. 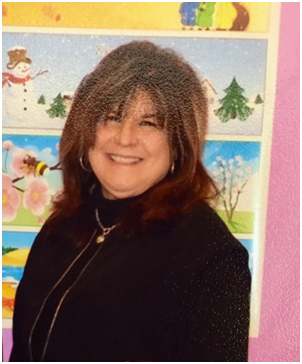 Mrs. Kayantas was the President of the Greek School Board and President of the PTA of St. Markella Church in Wantagh for five years. She is married to Dimitrios Kontos and they have a daughter Sophia Maria Kayantas. Mrs. Antoneta (Aneta) Varsami was born in North Epirus and studied at its Pedagogical Academy. She majored in Mathematics and Physics. Mrs. Varsami taught for the first 28 years of her career in several public schools teaching grades: 5th through 8th. She has attended numerous Language Seminars in Crete and Athens, and specializes in teaching Greek as a second language. 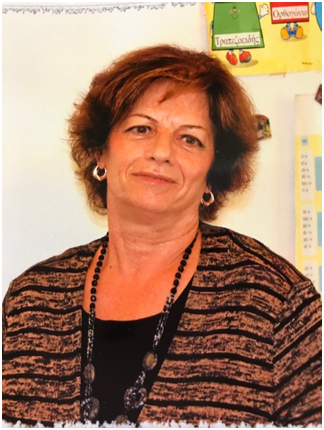 Since September of 2002, Mrs. Varsani Has lived in New York where she teaches Greek Language, Mythology, History, Geography, Mathematics, Dance, and Greek Customs and Traditions in the Greek schools of several communities. She is one of the founding members of Academy of Hellenic Paideia Inc. and the Head of the Language Curriculum for the entire program. Mrs. Varsami teaches Greek Language in all levels: children and adult classes, in group or private basis. 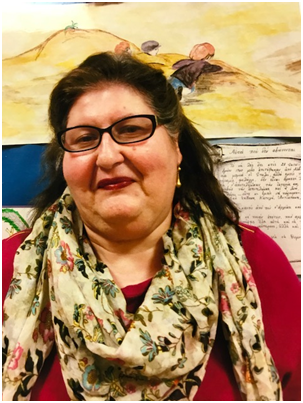 Mrs. Varsami is a proud member and supporter of the Archangel Michael community and has served as a Language Teacher at the Archangel Michael School since 2006. She is married to Mr. Thanasis Varsamis and has two children – Demetra, School Principal and Michael, Cardiovascular Perfusionist. Mrs. FilioGlezakou Diakogiannis was born in Athens Korydallos. She graduated from high school in Aigaleo and continued her education at Athens University as a Kindergarten teacher. Mrs. Diakogiannis was employed as a Kindergarten teacher at private schools in Piraeus. During this time, she went to school for children’s entertainment (karagiozi puppet show and children’s theater). Mrs. Diakogiannis immigrated to the United States in 2003. Currently, she teaches at the Archangel Michael Greek Language Institute in addition to other local area Greek Schools. She is married to Stelios Diakogiannis and they have two children. Mrs. GregoriaGiannou was born in Montreal, Canada, to immigrants of Greek decent, originally from Sparta. She graduated from McGill University with a Joint Honors Degree in French Literature and Modern Greek. 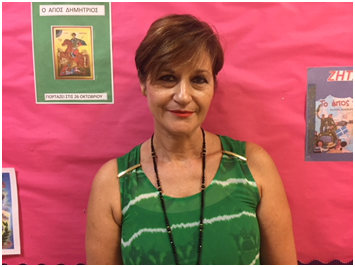 Upon graduation, Mrs. Giannou was offered a 3-year scholarship from the Greek Consulate in Montreal to pursue a doctorate degree in Modern Greek with the University of Athens. Three years later,she moved to Athens, Greece where she worked for over 20 years teaching English and French as second languages. During these years, Mrs. Giannou collaborated closely both with the British Council and the French Institute of Athens. Mrs. Giannou immigrated to New York City in 2007 with her husband and three children who were all born and raised in Athens, Greece. She had home-schooled her children in the English and French languages and all three are thankfully well on their way to a bright future here in New York City. 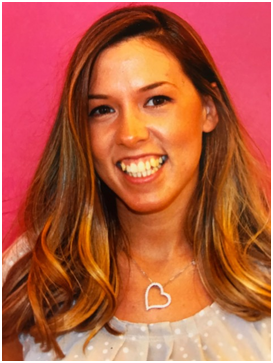 In New York, Mrs. Giannou began her teaching career at Holy Cross Greek Orthodox School in Whitestone from 2008 to 2014 working in the Day School as a Pre-K and Kindergarten full-time teacher as well as in the Greek afternoon school teaching both 5th and 6th grades. She completed her Masters Degree in TESOL as well as certification . In September of 2014 she was offered an ENL teaching position with the NYC Department of Education at PS 135 where she is still working. She is also currently teaching at the Archangel Michael Greek Language Institute. Mrs. Vassiliki tzanis was born in Piraeus. She graduated from high school in 1977. She attended Pedagogical Academy for six. She emigrated to United States in 1988. Her first occupation as a teacher was at the school of Panagia of Island Park from 1993 to 2007. From 2007 to present time she teaches at the Greek Afternoon Schools of various Long Island communities including the Archangel Michael Greek Language Institute. Mrs. Roula Zogopoulos has been serving the Hellenic community since her teen years. As a graduate of St. Demetrios High School of Astoria, Mrs. Zogopoulos developed a deep rooted passion for her heritage which propelled her to share her knowledge with our children and adults. Her dance training began in early childhood and continued professionally throughout college. She is versed in many genres of dance and earned her Bachelor’s Degree in Drama, Theater & Dance and Sociology from Queens College where she was awarded the Farah Marcellus Award for Outstanding choreography. 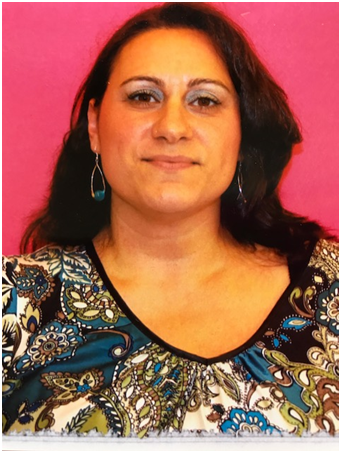 Mrs. Zogopoulos is also a classroom educator having earned a Master’s of Teaching Degree in Elementary Education from Queens College in 2000. She has taught in public as well as private school settings. She has worked for the Archangel Michael Church since 1999 as the Dance Troupe Educator & Artistic Director, Kindergarten Greek School teacher, andGLI Greek Dance educator. 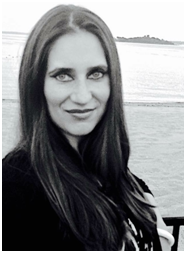 Additionally, she is the Creative Movement & Music teacher at the Archangel Michael Preschool. She continues to dance professionally with her own Academy Dance Troupe. Mrs. Zogopoulos loves the Archangel Michael Community having served 18 years as an educator creating opportunities for our children to be immersed in rich Pan-Hellenic events such as the Archdiocese Paradosi Dance Competition and The Ronald McDonald House Greek Division Walk-a-Thon. We hope you will join us! To learn more about the Greek School PTA and download a copy of the family membership form, please click here. 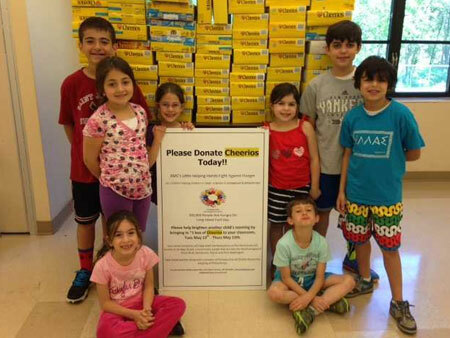 Please consider volunteering with the Greek School PTA. You can download the volunteer application by clicking here.